Children and Tech Devices: What Are the Dangers? 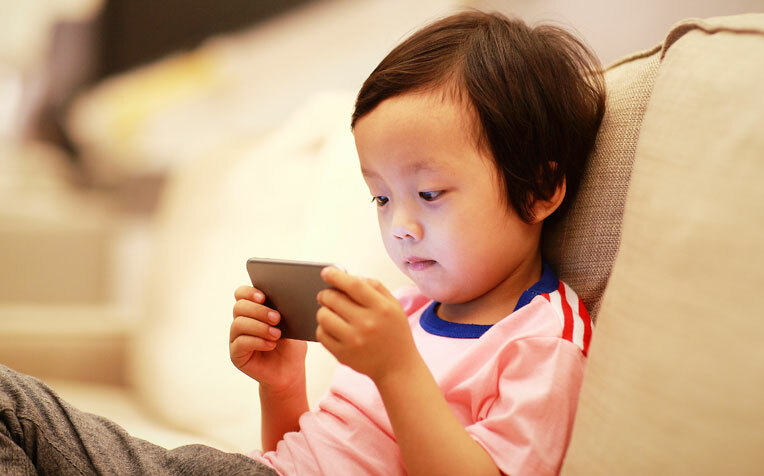 How does exposure to tech devices from young affect the child's development? Experts at the Department of Child Development and Department of Orthopedic Surgery, KK Women's and Children's Hospital (KKH) explain. ​​Possible dangers associated with children’s overuse of smartphones/tablets. Children are becoming tech-savvy at an increasingly early age. While the benefits of technology cannot be denied, parents and caregivers need to understand how excessive exposure can impact the development and health of their young children. Read on for practical advice offered by Dr Soong Chi Mei, Senior Principal Psychologist at the Department of Child Development, with Dr Arjandas Mahadev, Head and Senior Consultant from the Department of Orthopaedic Surgery, both from KK Women’s and Children’s Hospital (KKH), a member of the SingHealth group. A hunched back, a condition called “postural kyphosis”. Should children be prohibited from using smartphones/tablets? Not necessarily, according to Dr Soong. “We need to accept the reality that mobile devices are here to stay and have become part of our lives. Moderate use of these devices, balanced with other social and active activities is key,” she says. Parents are also advised to break up the time their child spends in front of the TV or using handheld tech devices to intervals of 20 to 30 minutes per session. In addition, it’s vital that young children continue to be active and participate in interactive play to support their gross and fine motor, cognitive, social and communication development. “Your child is likely to become increasingly engaged in social media. Then it’s time to watch out for cyberbullying and to teach your child to communicate respectfully and positively,” says Dr Soong. The best way to do so is to ask your child how it would feel to be on the receiving end of nasty comments. Then, relate this back to your child and explain how easy it is for words to affect another person’s feelings. The key is to help guide your child to gracefully solve social difficulties that may occur when communicating online. “Success in reaching out to your child will definitely help strengthen a positive parent-child relationship,” she concludes. Read on for tips to prevent tech addition in children. ​Parkinson Disease: Can It Be Predicted? Copyright © SingHealth 2016. All Rights Reserved.